Patrick G Carey Racing Stables :: Jack Martin and Moss'N'Dale take out the Gr3 Craven Plate. Jack Martin and Moss'N'Dale take out the Gr3 Craven Plate. It’s not often that a galloper who has won 14 of his 31 starts can be described as flying under the radar. That description is apt, however, for six-year-old gelding Moss ‘N’ Dale who claimed the biggest win of his career when he relished the rain-affected track at Randwick to take out yesterday’s Gr. 3 A$500,000 Craven Plate. Bred at Te Runga Stud by Wayne Larsen, who shares in the ownership of the Castledale gelding with Australian bloodstock agent Lenny Russo and a host of enthusiastic friends and associates, Moss ‘N’ Dale has never attracted the attention that others with less impressive career records might have generated. That suits Larsen, who welcomed a full-brother to the Peter Gelagotis-trained Moss ‘N’ Dale last month. “I guess more people will sit up now and look at him as he’s never been a horse that has featured in conversations despite his overall record,” the South Auckland studmaster said. “It takes a good, tough horse to win 14 races and that is exactly what he is. He’s from a colonial family that only gets better with age and maturity, so I would expect he is probably only reaching his prime now. “When you look back at who he has run against it makes pretty good reading. He has pushed Group One horses on a number of occasions. While Larsen and company were confident of a good performance once the rain hit Sydney during the week, the real sense of satisfaction comes from providing young apprentice Jack Martin with the opportunity to open some big doors to his riding future. “Jack suits the horse and has ridden him well at every start he has been on him,” Larsen said. 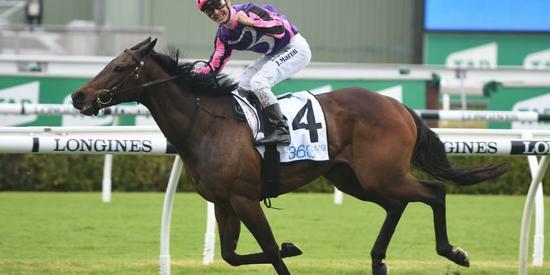 “His ride on him at Flemington when he won over 1400 metres in May was as good as you will see. “He did a great job on him again and being a part of giving a young lad like him an opportunity gives me as much pleasure as the win itself because we all want that opportunity in life. Larsen is now looking forward to seeing more members of Moss ‘N’ Dale’s family make their mark, with younger brother Moss ‘N’ Bolt already on the right side of the winning ledger. “Moss ‘N’ Bolt is also with Peter Gelagotis and has a win on the board from seven starts,” he said. “He has been out spelling but is getting ready to make his return. “I’ve also got their two-year-old full-brother here at home and he will likely head over the Tasman in the autumn. “He has had a couple of preps and is showing the family ability. He will most likely race in a similar ownership to the other two as there is plenty of interest from people about him and how he is going. Strategic Image mare Hot ‘N’ Moss, who won two of her 20 starts, hails from the family of multiple Group One winner Moss Downs. She will be served this spring by Cambridge Stud stallion Almanzor.